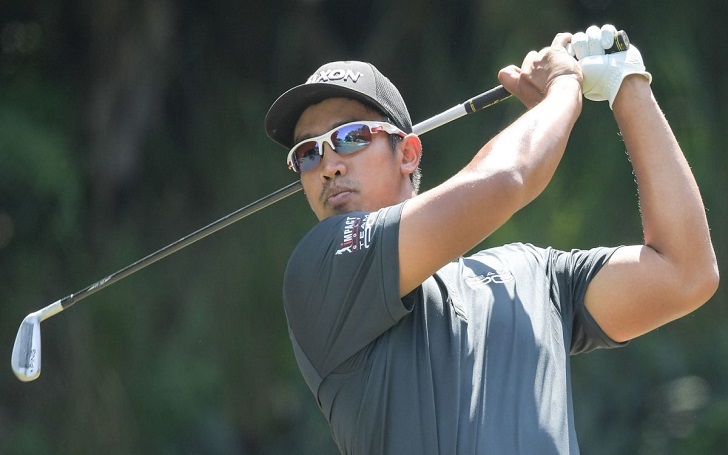 Malaysian golfer Arie Irawan died in his hotel room on the Chinese resort island of Hainan on Sunday, April 7, Sanya Championship officials have confirmed. He was 28. As for how he passed away, officials say he died from "apparent natural causes." His death forced has the PGA Tour Series-China to cancel the final round of the tournament. Irawan reportedly missed the 36-hole cut on Friday, April 5, in the tournament at Sanya Yalong Bay Golf Club. The PGA Tour and the China Golf Association released a joint statement to pay tribute to the late sportsman. The PGA Tour and the China Golf Association grieve at this loss of one of our members and share sincere condolences with Arie's wife, Marina, and his parents, Ahmad and Jeny. When something of this magnitude occurs in the golf world, we all grieve at the same time. Out of respect for the family, officials canceled the final round of the Sanya Championship ... it's a true tragedy what has happened. Sometimes, though, things happen in life that are bigger than a sporting event. Trevor Sluman, of America, who led after 54 holes with an 18-under total of 198, was declared the winner of the tournament. Irawan is survived by his wife Marina, and his parents, Ahmad and Jeny. Funeral services for the late golfer will be announced in the coming days. Rest In Peace Arie Irawan! NSync's Reunion With Justin Timberlake at Super Bowl: Think Twice!! Zoe Saldana: "The producer said I was only hired to look good in an underwear while holding a gun"